Well, It's that time of the year again, and although I used to get a lot of items from Ardene when I was younger, I have definitely been brought back into the store for many reasons! Honestly, your age doesn't matter, because there are so many things that aren't just clothes that you could get! 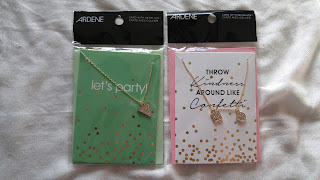 I want to take a second to thank the amazing people at Ardene as well as the employees at my local store for being so amazing and generous while I was there! So with that being said (And the fact that Christmas--for those celebrating--is literally right around the corner) I've got many of items that you can get this year! Even after the holidays, because let's be honest, it's pretty awesome things! 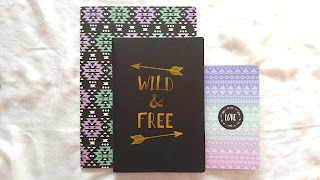 So you all know I'm a fan of journals, and getting a huge stack of them...even if I don't use them right away! Sometimes an idea sparks, and I'm always wishing I had a notebook handy! Honestly, getting this set of three in one bag is awesome! Because not only do you get three different looks, but three different sizes that help for whatever bag you're using for on the go! 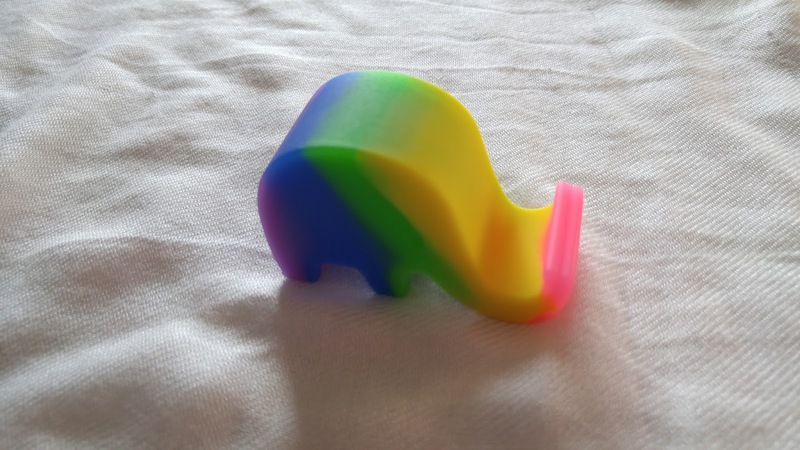 So apart from me wanting to get a portable speaker to blast some music when my phone speaker isn't loud enough, I found this adorable and cool phone holder to help at least keep my phone upright! If you ever need to be hands free, filming, or even just looking at a recipe online, this simple design really works! I used it as soon as I bought it, and let me tell you, I use it all the time! 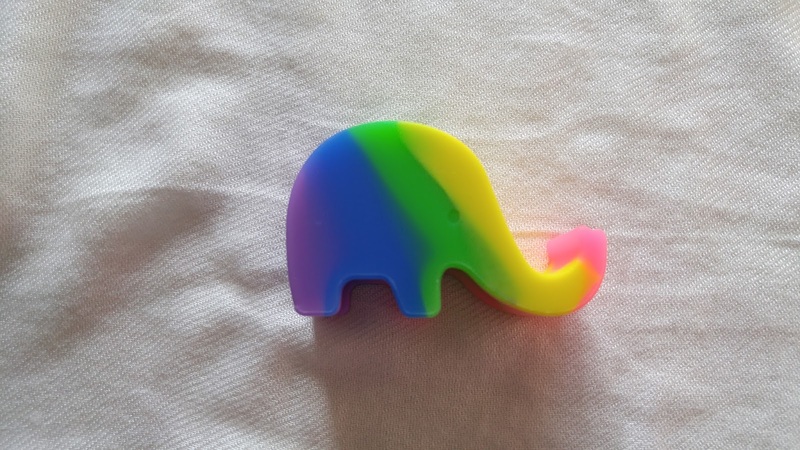 Plus, you can't go wrong with a cute elephant! Not going to lie, among mugs, notebooks, and bookmarks, I have a huge stash of pens! It's probably become a problem at how many I have, to be honest, but I love finding that perfect pen that glides across the paper! 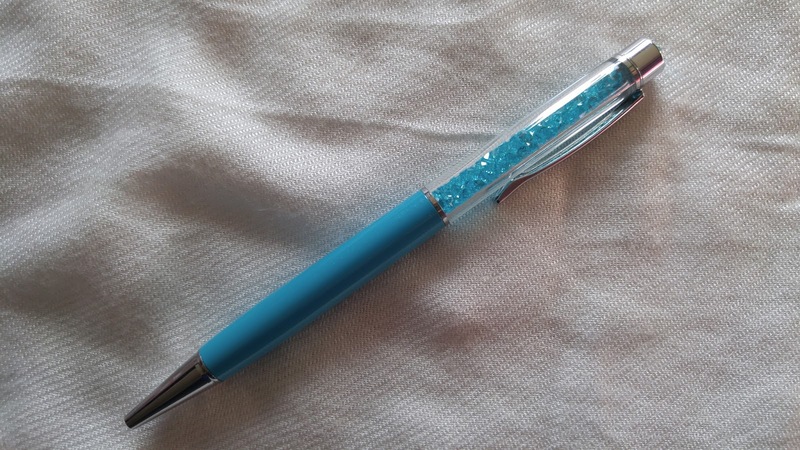 This pen actually has little blue gems inside, and if you shake it, it kind of moves around a bit! Totally cool, and definitely a keeper! *Note when I mean the Jeweled kind, I was totally joking...although they are pretty awesome! Buttons! Can I say that as a Book Blogger and Bookstagrammer, I actually LOVE getting all kinds of buttons to showcase in my photos every single day! 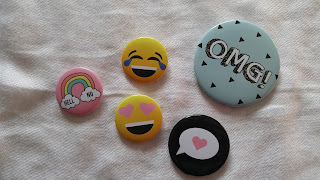 I know there are a lot of you out there that probably would pair them on a bag or a jacket, but my love for the buttons comes down to my posts! Simple ones like these are amazing, because if I've read a book that I loved, I can relate it with the button! Of course I have to get my fair share of bookmarks to add into my huge collection! 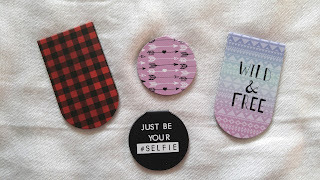 Same thing from the buttons, I would say are for these awesome magnetic bookmarks! They really are sturdy when holding your place to read (as if you need one anyway right?! :P) but they also are pretty cool to look at!! Really love the "Just be your #selfie" one! 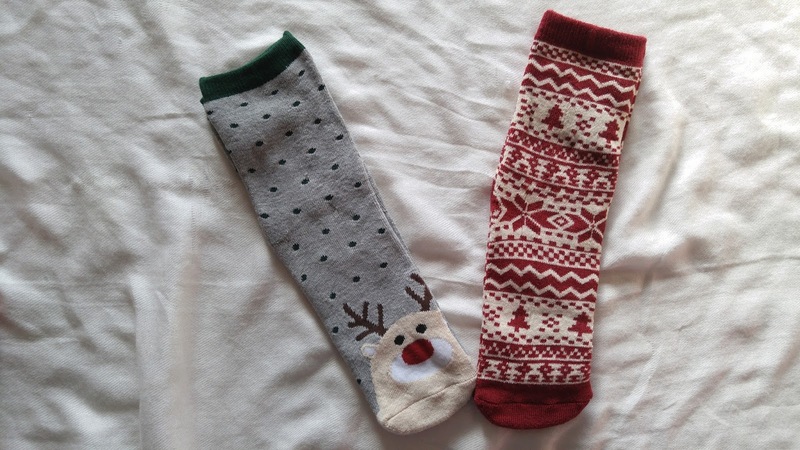 Having socks is probably the one thing that's necessary. 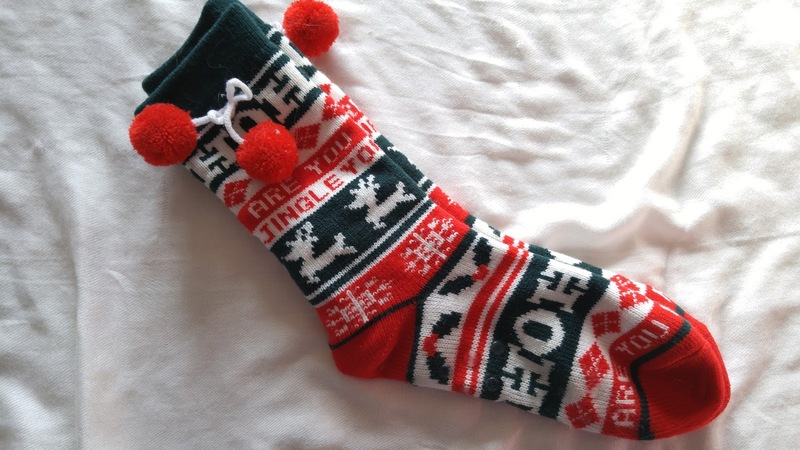 But having cool, fuzzy, warm socks is even better! Not even lying when I say that the Reindeer and the maroon pattern socks are insulated, and totally warm during the bitter cold days! 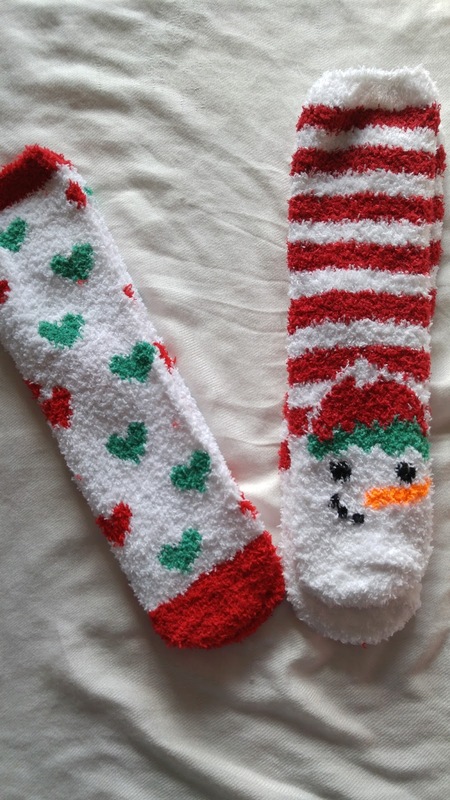 Can't go wrong with fuzzy socks! 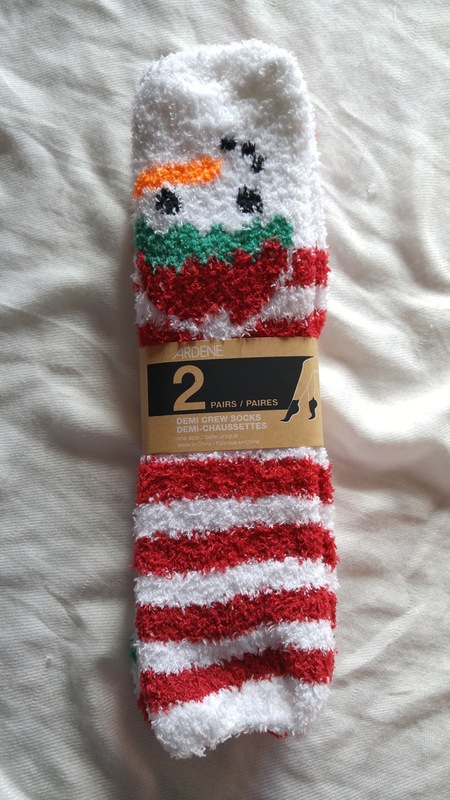 So I had gotten Reading Socks from Indigo, and you've all heard me talk about how amazing they are! 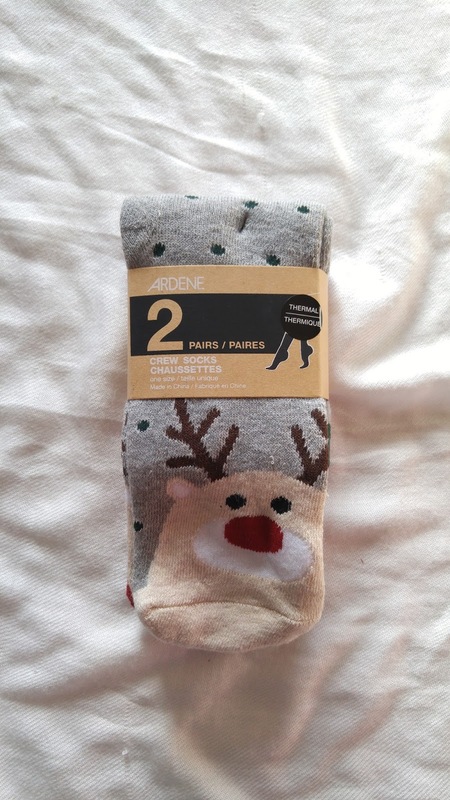 I found a pair of slipper socks from Ardene as well that are super cute, and totally warm! I think this may be my new obsession of having a collection of socks and slippers, it's kind of out of hand! Definitely recommend getting a pair of these! So I totally didn't know that Ardene had cards with a necklace inside to send to someone! Although for myself, I'm allergic to this kind of jewelry, I think it's a very sweet gift to send to someone! Of course I really love the cards itself as well, because I mean "Throw kindness around like confetti" pretty cool!! You also get like two things in one! Never again would you have to get a card separate from a gift! 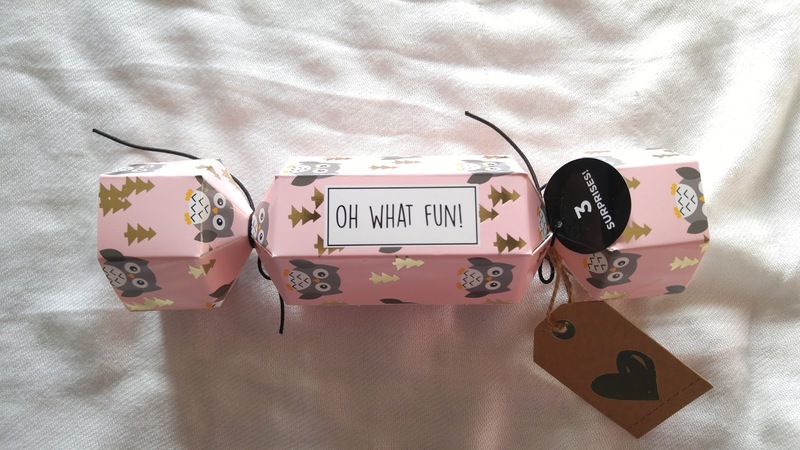 Another thing I never knew they had at Ardene was Christmas Crackers! The prints that they all have in store are really adorable, and I couldn't believe what was inside! You get three items inside the cracker! (Nail Polish, Nail File, and a Hair tie) When I say that they're small, I really mean it! Just to give you an estimate, it's all the size of my pinkie finger...YEAH! But they would totally fit into a little pouch for your purse for any emergencies! I've been a lover of the surprise bags ever since I was a little girl! You remember those paper bags with the blue design over it saying "Surprise Bag" over it? Well Ardene has their very own, and you get a lot for only $5! Well if you get two bags for $5 you get it filled with 5 items per bag with random items that you can find in store! Socks, Hair tie, Bow, Earrings, Headband, and so much more! *Little secret...I totally go for the heavier ones, because you're bound to get something really cool inside! The best surprise for a stocking stuffer would totally be to get one of these surprise bags! Lastly, you can never go wrong with a cool new water bottle, or travel mug for a gift! I really love the quote of "I'm a goal digger" although many people take that the wrong way! 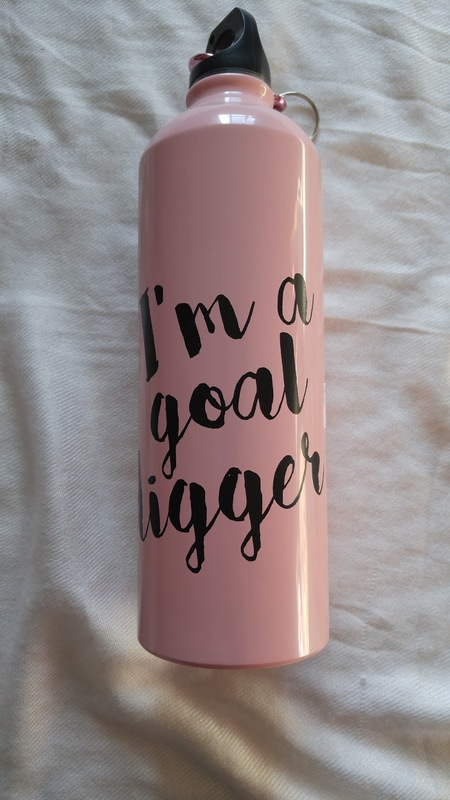 I recently read a book about empowering women, but this water bottle could be for ANYONE!! It's super sleek and holds a lot for the day! 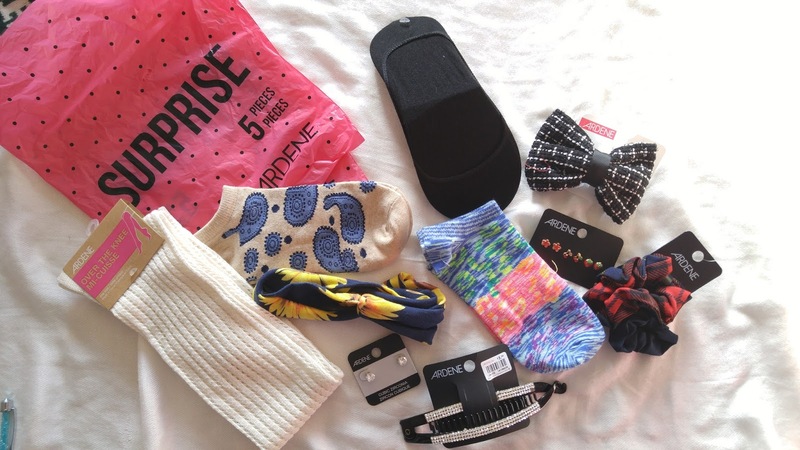 So that's all for my top items from Ardene (apart from clothes) that you can use as Stocking Stuffers! 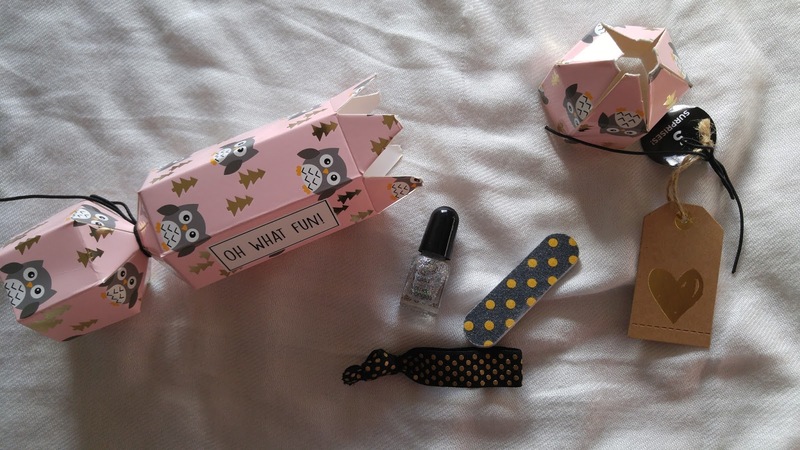 I seriously love everything that I purchased, because they're honestly things that I would use almost daily! 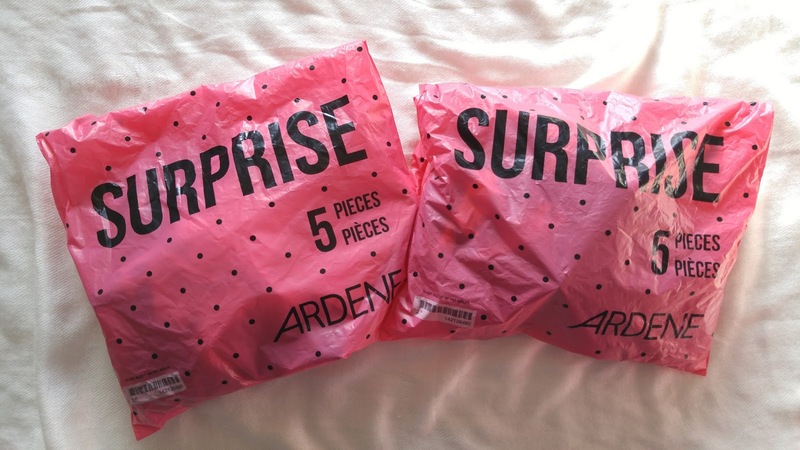 Thank you once again to the amazing people of Ardene for sending me a gift card to go shopping, (even though I totally spent more!) and thank you to the amazing staff members for showcasing your favourite items in the store! Coming from me, I would definitely recommend getting little items like this for someone who has a reading, sock, writing, or even workout vibe, because almost all of these can be for anyone on your list!